System Hygiene is proud to sponsor the services of the Mobiloo mobile toilet and changing facilities for visitors with disabilities at this year’s Derian House Winter Sparkle. 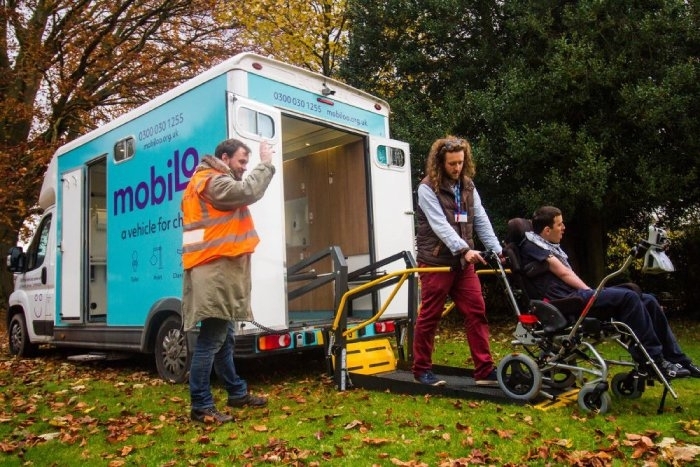 Mobiloo provides all the amenities to support people with a variety of toileting needs including an electric hoist, adult-size changing table, and assistant. “After sponsoring the service at last year’s Winter Sparkle, we received an overwhelming show of support for this sort of facility provision.” says Liam Havlin, Sales Manager at System Hygiene. Founded by James Brown, Mobiloo director and Paralympic medallist, the service was founded with a mission to enable disabled people to attend any event or activity - events from which they are often excluded due to lack of adequate facilities. His Mobiloo enables all disabled children and adults to use the toilet or be changed. Built into what was once a horsebox, Mobiloo can be driven to festivals and events and is the first ‘loo’ of its kind in the world. 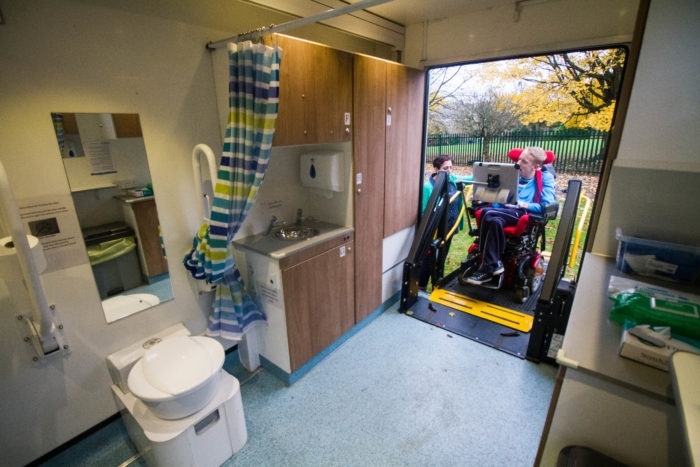 With an electric hoist and changing table as well as a toilet and washbasin, the Mobiloo means that even those wheelchair users with the most complex requirements can get out and about to enjoy the same opportunities as everyone else. Derian House Winter Sparkle takes place on Sunday 4th November at Astley Hall, Chorley. Derian House supports more than 300 families who have a child or young adult suffering from a life-shortening condition, along with bereavement support for a further 200 families in the North West. It needs to find £3.85million a year in donations to run at current levels. Mobile founder, James Brown, won a cycling bronze medal at London 2012 (one of the 14 World and Paralympic medals he has won during his career), has 5% vision in his right eye, and 3% in his left eye. He and a friend came up with the idea for the Mobiloo after working at Gloucestershire Council on various projects for those with disabilities. Speaking regularly to parents and carers, James spotted the huge gap in the market for this type of provision.